Our goal is to make sure that you have from us a pleasant shopping, any negative is not welcome, if you have any questions, please first time to contact us by e-mail, thank you for coming. Easy to mix and assemble, suitable for different styles of home decor. Beautiful atmosphere, material durability, health and environmental protection, safer. We will provide you with the best quality service, quality assurance. Functional iron wall shelves-Perfect choice for adding additional shelving space for books, collectibles, plants, crafts, photos and more in living room, bedroom, office, kitchen, pantry. 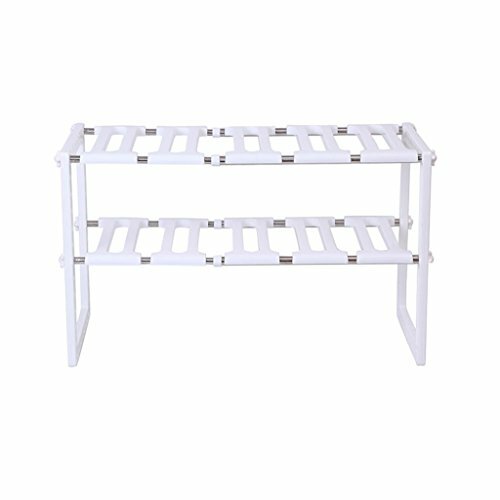 EASY ASSEMBLY AND WALL MOUNT SHELVES - Easy to follow instruction and all mounting hardwares included, makes it easily and effortlessly to install. Seiko secret agents, delicate texture, natural texture, shaping the general beauty. Natural materials, low-carbon environmental protection. Make the best use of blank wall space for added storage. View More In Garage Storage. If you have any questions about this product by Racks Inc, contact us by completing and submitting the form below. If you are looking for a specif part number, please include it with your message.